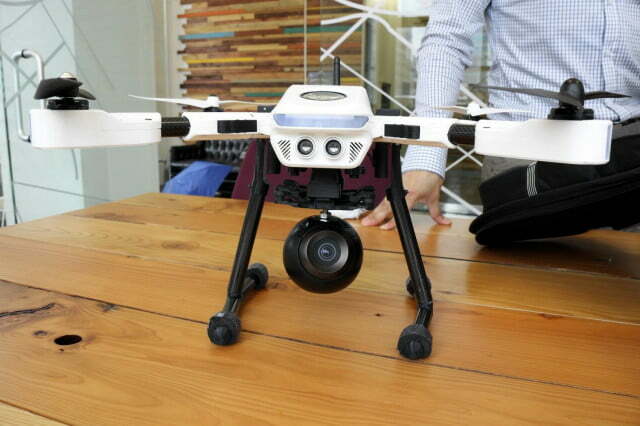 The PlexiDrone with a Bublcam 360-degree camera in its payload. You can control the PlexiDrone with an iOS or Android smartphone or tablet. DreamQii is currently running a crowdfunding campaign on IndieGogo (goal of $100,000), which ends November 15, 2014. If you want to be one of the first to get one in March 2015, you can make a pledge starting at $479. A Pro Kit, which includes a camera-stabilizing gimbal, can be had for $659. For $779, you’ll get the PlexiPack hard-shell backpack. Plan to do some swarming? A Swarm Pro kit with three PlexiDrones can be yours for $2,499; throw in $500 more and DreamQii will wine-and-dine you in Toronto.When it goes to retail, the PlexiDrone will start at $699. The PlexiPack will sell for $199.Check out the IndieGoGo page for more details. DreamQii is a robotics startup in Toronto, and the PlexiDrone is its first product; it’s currently available for pre-order via IndieGoGo, with special pricing. Designed for aerial photography and videography, the PlexiDrone was born out of feedback from filmmakers and photographers who wanted a portable drone for aerial footage capture. The appeal of PlexiDrone is its construction. The four propellers and landing gear can be attached to the main body in about a minute – less than that if you work fast enough. The components are designed to snap in and lock on without any tools, and can be disassembled just as quickly for portability; DreamQii also cleverly designed them so that you can’t accidentally attach a propeller in the wrong section, making assemble foolproof (DreamQii says it’s impossible to put together wrongly). Attach the proprietary Bluetooth wireless router that communicates with your smartphone or tablet – up to 1 mile – and you’re ready to go. The battery only lasts between 15-35 minutes, so you may need to keep a charger or extra battery handy if you plan to use it for longer than that. For the camera, the PlexiDrone doesn’t come with one built in; instead, the user supplies one. 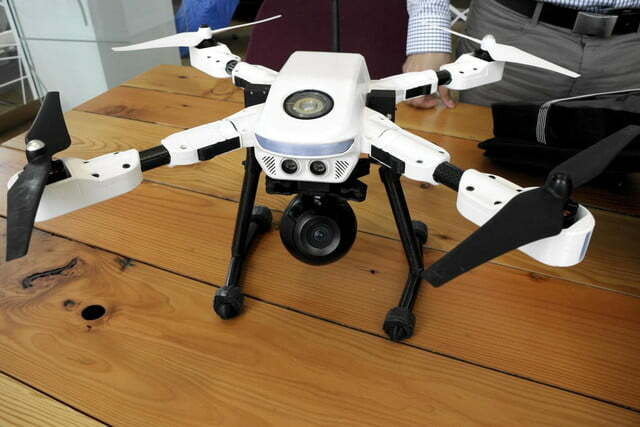 It is compatible with most cameras weighing less than 1 kilogram, or 2.2 pounds. It’ll handle small action cams like those from GoPro and Sony, as well as compact mirrorless cameras, 360-degree panorama cameras, thermal cameras, and LIDAR scanners; you can even attach a claw to use it to hold something light. And unlike other drones, DreamQii says the retractable landing gear and camera’s positioning allow for an unobstructed 360-degree field of view; you won’t have to crop out anything from a scene later. The PlexiDrone is easily controlled through the PlexiGCS software for iOS and Android. You don’t need any expertise to control it. Through GPS and the 3D map on the app, you simply draw a flight path for the drone, and tell it what to do. There’s also a “GPS follow me” feature, where you can have the PlexiDrone automatically follow and film you, without you having to manually control it. 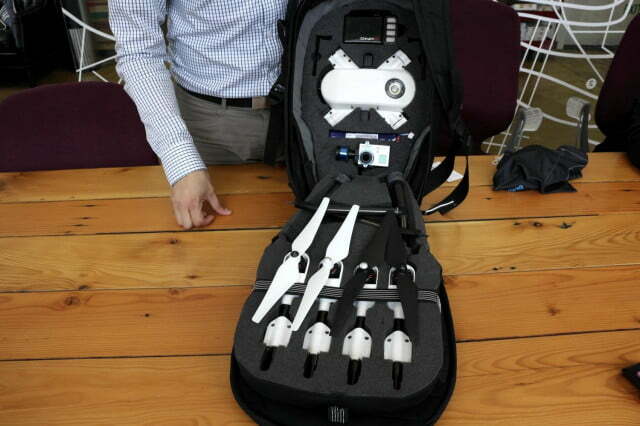 The PlexiDrone with a Bublcam 360-degree camera in its payload. it also supports actions cams like those from GoPro and Sony, compact cameras, as well as thermal cameras and LIDAR scanners. You can also control the attached camera via the app, so you won’t need to switch between apps or have a second pilot. Ultrasonic on the PlexiDrone will alert the unit if there’s an obstacle in its path while in flight. 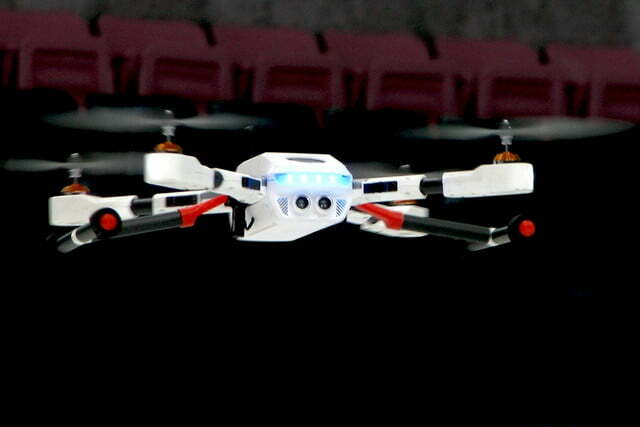 Users can also pilot the PlexiDrone with remote control unit, if they wish. Instead of LED lights, the PlexiDrone uses customizable voice prompts to give you status reports (you can even add theme music, let you personalize your drone). The PlexiDrone has an optional PlexiPack hard-shell backpack that lets you easily stow and transport the drone. Klever Freire, DreamQii’s CEO and cofounder, told us that PlexiDrone is designed to be flexible. Want a larger payload? 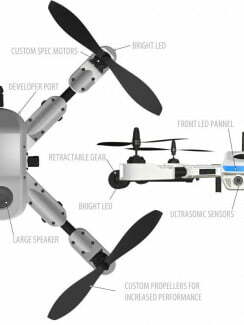 In the near future, you could swap in more powerful propellers and attach a camera gimbal for a DSLR or cinema camcorder. Accidentally crash and break one of the propellers? Instead of replacing the whole unit, you can just replace the part you need. As mentioned, besides video capture there are also other applications. One example is a solar farm that DreamQii is consulting with, which is using a PlexiDrone as a heat scanner to detect inefficiency. The company is also working with a newscaster on using a PlexiDrone for reporting Another potential use is for landmine detection, using multiple PlexiDrones to swarm an area and pinpoint mines with GPS, which can be used to safely extract the mine. If you’re worried about trespassing onto drone-prohibited territory, Freire says the PlexiDrone has geofencing built in. Without the user input, the PlexiDrone’s software uses known data of where it can and cannot fly, and will avoid (or prohibit you, rather) from flying in those areas. From a government standpoint, Freire says DreamQii is working with Transport Canada (counterpart to the Federal Aviation Administration) to help the agency understand drone usage from a consumer DIY point-of-view; the company actually sits on a panel in regards to drone use. To prove why education is important, Freire said he was detained by airport customs, simply because a drone is still unfamiliar to many (only did he put it together to demonstrate, did they realize what it is). For Freire, the PlexiDrone and his company DreamQii (which has seven employees at the moment) came out of his need to satisfy his creative side. “I’m a strange mix of a strong technical background with a need to be creative,” says the former aerospace engineer. In fact, he has been working in the aerospace sector for six years before starting DreamQii, so he brings a lot expertise to the product. He created DreamQii because he saw the commercial need for a camera robot drone that would appeal to regular consumers as well as photographers and videographers. 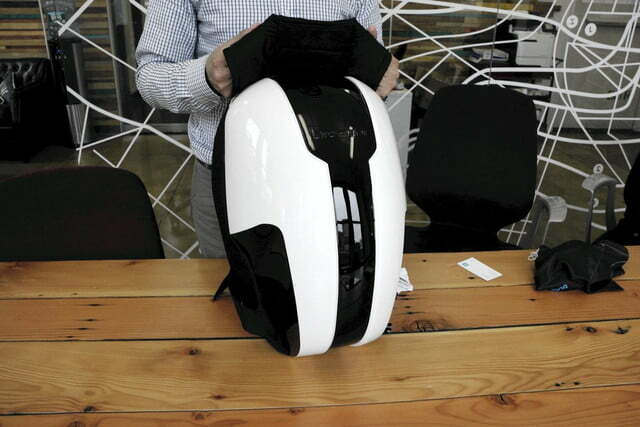 Freire sees the PlexiDrone more of a lifestyle product (the optional PlexiPack hard-shell backpack for storing and transporting the PlexiDrone is one way it makes a “fashion statement”). 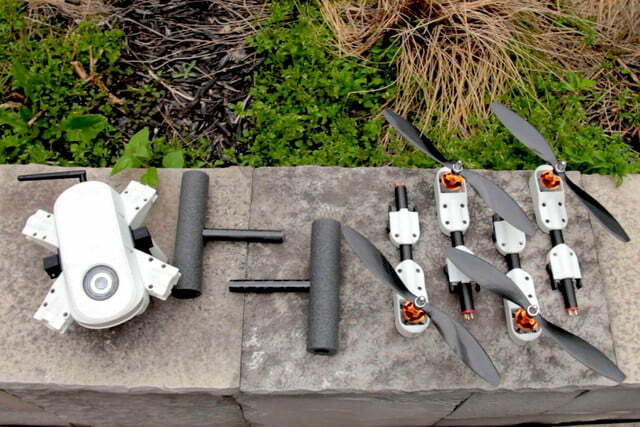 Freire also sees the PlexiDrone not as a single product, but as a development platform. Users or third-party manufacturers can build custom payload modules, for example. 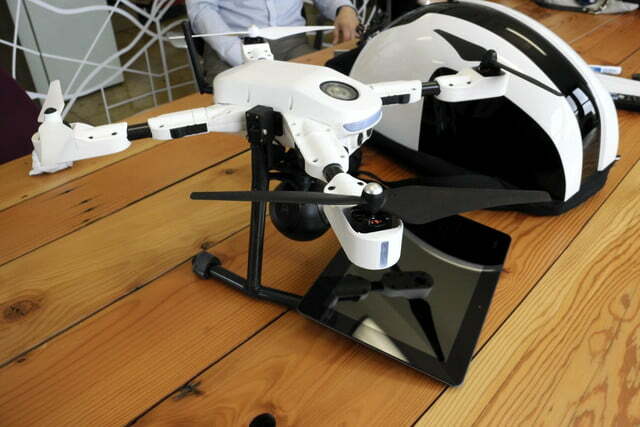 As consumer drones become even more popular, we will start to see more options. 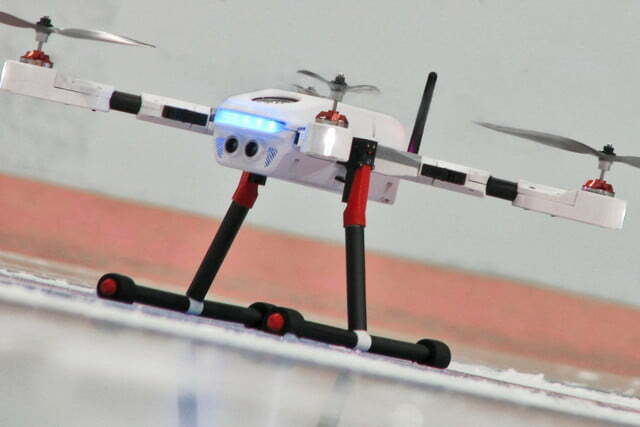 At $700 (the price when it goes retail), the PlexiDrone is not a cheap toy. 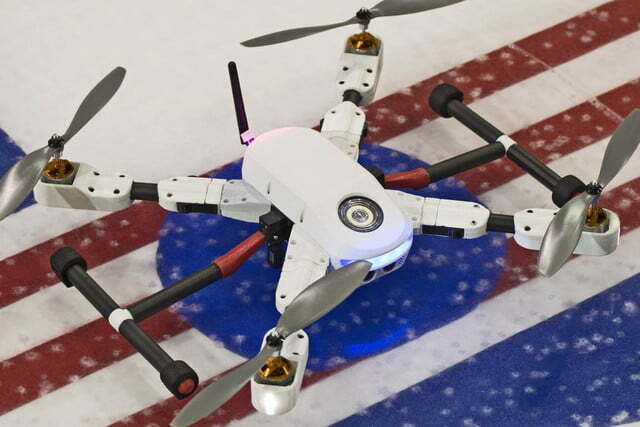 But, with the durable construction and ease of use, backed by a team of experienced engineers, the PlexiDrone could become the tool pros and hobbyists have been looking for.